EQ is the most important plug-in you have, if you don’t want to use it wrong, otherwise your mixes will always sound like bedroom demos. So keep watching to learn the 11 biggest EQ mistakes that I see DIY musicians make over and over again. 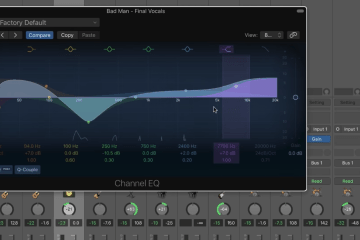 Avoid these EQ mistakes and your mixes will soon start to sound more professional. But first, be sure to grab my free EQ cheat sheet to access some more tips, EQ charts and more. It’s completely free, there’s a link in the bio or on screen now. So let’s dive right in with mistake number 1, which is applying EQ without intention. To me, this is kind of like getting in your car, driving it full speed, but in no particular direction. Sure you’ll get somewhere but who knows where, and who knows if it’s a good place to be. Now, the same thing applies to mixing and it most definitely applies to EQ too, because if you just load up an equalizer and start playing around with EQ, for the sake of it, because you feel like you need to and you are doing that without intention – sure you might change the sound, you will end up somewhere, but is that where you want to be? And just using EQ for the sake of it, is one of the biggest mistakes I see amongst musicians who produce their own music. So here’s what you should do instead. Decide what you are going to do before you load up your equalizer. It’s that simple. Figure out what you are trying to achieve, why you are trying to achieve it and then that will quickly tell you how you go about achieving that intention. So let’s have a quick listen to this mix, it’s very early stages, I’ve done a volume balance and some mix bus processing, and we are just trying to do some big broad sweeps to take the mix in the right direction. So let’s compare this to some references and try to identify some problem areas. So what can you hear there? What are the issues with the whole mix? We are not focusing on one particular instrument right here, just focusing on some broader issues. To me, straightaway, I can hear that there’s too much muddiness, it doesn’t sound as clear, it sounds like it’s kind of clogged up in that lower mid range, and it also sounds like it could do some more aggression in the upper mid range. This [inaudible 00:02:37] track. It’s got quite a lot of aggression in that kind of 5k area. We completely lack in that. Maybe just removing some of that mud will open that up a bit. But there we go, we’ve got the intention and now it’s easy to go about fulfilling that. We know what we are doing, we know why we are doing it and now we just need to figure out how. And already know that I am going to start by identifying where this muddiness is in this lower mid range and [inaudible 00:03:01] that. I still think it could use a little more aggression in the upper mid range. So there we go, that’s a step in the right direction, we can come back to this later on in the mix but we’ve done quite a big move there, we had intention, we went through there and it was easy then to figure out where to cut and boost, so have an intention. Well, okay, once upon a time, this was good advice; when you were working with an old school desk, it would add noise, it would eat up headroom, and it would mess with the phase, all of these issues. But now it’s one of the worst pieces of advice that somehow clung on and still appears around the web today. But it doesn’t really apply to digital mixing; and even then if I was mixing on an analog desk, I would completely ignore this often repeated piece of bad advice. It all comes back to this idea of intention. If you have an intention, it doesn’t matter what you need to do to get there. There are no rules in mixing like only use subtractive EQ. There’s some way you want to go, something you want to do, do whatever you need to do to get there. So if you need boost to do that, do it, it doesn’t matter, ignore this rule completely. You can see here how I started with a cut to see if that was enough to reduce that muddiness and bring out the upper mid range, but it wasn’t, I had to add a bit more; I didn’t want to cut more because then it would start to sound a bit hollow, but I still wanted more aggression in the upper mid range, so I had to add there. I wanted less mud, so I cut the mud and I wanted more aggression in the upper mid range, so I added it. Just completely forget this whole subtractive EQ idea. Mistake number 3 is only using EQ on individual channels. Again, you’ve already seen an example here of me using EQ on the whole mix. And after I finish my mix bus processing, I would then go and apply EQ to the group buses, so all of the guitars at once. And here it’s just one guitar, but it’s multiple microphones mixed together. So why would I EQ them individually? I’d just EQ them on the bus. The whole drum kit, maybe the drums in general will need more top end or just add it on the bus. If there was several backend vocal parts, it wouldn’t be worth the time to go through and mix those individually, unless I had a particular reason to do so. So, again, apply EQ on your mix bus, on your group buses and don’t just resort to only using EQ on individual channels. In fact, I try to avoid using EQ on individual channels unless I have a particular reason to do so. Mistake number 4 is not being aggressive when you need to be. So, this is another one of those rules that seems to come up now and then, I’ve used 3dB chunks for cutting and boosting and avoid aggressive boosts. This kind of stuff, just again, forget about it. It comes back to intention. If you need to be aggressive to get where you need to go, then by all means do it. And of course, there are guidelines. So I could say to you, on your mix bus, you are probably only going to need one or two db. In most cases, that’s enough to get you where you want to go without ruining the mix and being too detrimental. But if you have a specific intention, and you need a 5dB cut on the mix bus to do that, then do it. If you need to add 10dB of top end to a snare to make it sound aggressive, do it. Do whatever you need to do to get there. Let me show you a quick example. So I am just going to load up an EQ on this kick drum and we are going to try and really bring out this beta sound. And it’s probably going to be somewhere around here, once we find it, let’s try boosting it really aggressively, because I feel like this kick isn’t cutting through the mix enough. So there you go, it needed quite a lot, 6dBs to help that cut through the mix. Now, whether this is the right way to do or not, that’s another question, I would probably try using saturation instead, but it just goes to show that sometimes adding 6dB, even when it’s quite a narrow boost like this, if it works, it works, don’t be afraid to do it. Mistake number 5 is using the solo button. As you just saw there, I soloed the kick there, so you could hear what was going on, but in a mix, I would never do that, I would avoid the solo button at all cost. And a lot of people struggle with this, so what I recommend instead is that you just turn up the channel that you are working on, as you saw me do just a second ago, turn up that kick while you are dialing in that EQ so that it’s easier to hear what’s going on. And once you’ve dialed in, drop it back down to the level you want it. Now, we’ve already covered a lot here, so I am going to keep moving fast and make sure you download that cheat sheet to remember all of this and apply it. And moving on now to mistake number 6 which is applying a high-pass to everything. Now, it seems like a lot of people recommend doing this, but if you do it and you apply high-pass to everything, your mixes might come out sounding weak and pathetic. It’s essentially like applying a low-pass filter to the mix. It leaves all of that low end, and now that’s a very just example there. Most people wouldn’t cut that low end out of the bass and the kick but it gives you an idea of what can happen when you start to apply high-pass filter to everything. Again, it comes back to this idea of intention. If there’s noise in the low end or if you want to tighten up that low end a little bit, the great way to use high-pass filter is just tighten up the low end of the kick by adding a high-pass filter at maybe 40 hertz, but unless you had a reason to apply a high-pass filter, again, don’t just do it for the sake of it. Mistake number 7 is wasting time and money on plug-ins. Now, to get your mixes to a certain level, once you’re very happy with your mixes using stock plug-ins and you want to take them to that next place, then sure, you are probably going to have to buy plug-ins. You can see here, I’ve been using the FabFilter plug-in, which isn’t free, and it’s not cheap by any means either. But what I recommend is you learn one or two plug-ins really well. With EQ, it’s quite easy to find an EQ that’s highly versatile like the one that comes with your DAW or like FabFilter Pro-Q 2, this typical fully parametric EQ where I can add shelves, I can do whatever I want [inaudible 00:10:15]. You don’t really need anything else. And when you start buying loads of different analog modeling EQs, it starts to get confusing, you waste time and energy deciding which ones to buy, then you have to learn how they work and then in the heat of the mix you have to decide which one am I going to use. And all of these things are just distractions. If you are a DIY musician, if you are someone who makes their own music at home, I highly recommend you just have one or two go-to EQs. 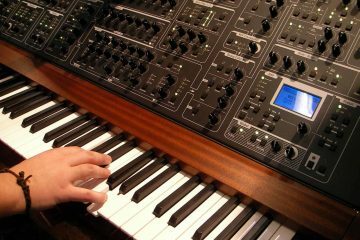 Sure, if you are a professional, you might need five different analog modeling EQs or even some real hardware. But if you are a DIY musician, one EQ is more than enough. Mistake number 8 is not using the bypass button. Again, you’ve already seen me do this – once you’ve applied your EQ, you want to check it actually improves the sound. So we just flip back and forth and you’d be surprised at how many people don’t do this. What you can hear there that there’s a loss in volume, so sometimes when you are doing drastic EQ, you need to volume match to make sure it’s the same volume when you are bypassing it and bringing it back in. Something like that, but it’s only really needed if you are doing something really aggressive. Mistake number 9 is worrying about plug-in order. Now, of all the things in a mix that are going to have an impact on the end sound, plug-in order is very, very, very low on the list. 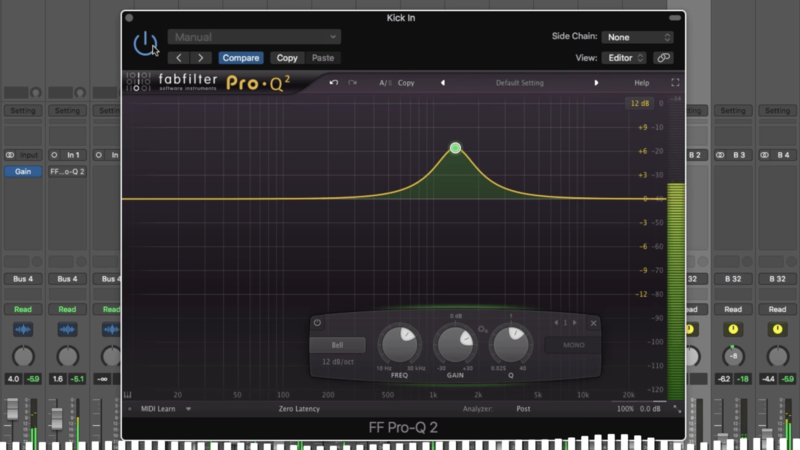 A lot of people obsess over should EQ come before or after compression. Honestly, there’s no right answer anyway. It purely depends on the context and at the end of the day it’s really not going to make that big of a difference, and there isn’t an answer, just try moving them around. But I don’t really worry about plug-in order that much unless there’s a particular reason, for example, you want to add EQ before reverbs, something like that, to change the sound going into the reverb. If there’s a particular reason why you need a certain plug-in order, then do it, but otherwise don’t worry about it. Mistake number 10 is not learning the frequency spectrum. And this is just having an awareness of how the different frequencies sound, and what the actual spectrum is, goes from 20 to 20 kilohertz, this is the upper mid range, this is the lower mid range, etc., just have a basic understanding of what the frequency spectrum is, how it works, and that will help you a lot when it comes to figuring out what frequencies you need to cut or boost to achieve your intention. And that brings me onto the final mistake, mistake number 11, which is not training your ears. 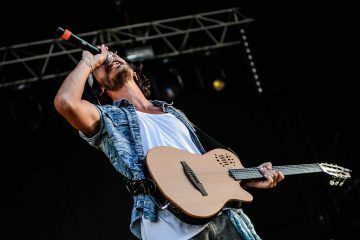 If you want to get good at EQ fast, then training your ears is one of the easiest ways to do this, because it allows you to very quickly identify issues with a mix or with a particular source. So, as you saw me do it at the beginning of this video, listening to whole mix and saying, hmm, it’s a bid muddy, it needs a bit more aggression in the upper mid range. I could actually hear what frequencies I need to go to. And once you are in the ballpark, you don’t need to be precise, you could see that was kind of moving it around, but I knew it’s going to be roughly around this area. And the same thing here, I knew that brightness and aggression, but not quite getting into [inaudible 00:13:35] which is going to be around here as well, so I knew where to start and then I could tweak. Now, the quickest way to do this is to use a service, a quiz, ear training service that actually gives you various blind tests and helps you to train your ears through various exercises, soundgym.co, that’s a great option. Also, my buddy Dan from Pro Audio Files, he has a great app called Quiztones. Just use one of these training apps, it’s going to speed up your progress so fast, and most of them are highly affordable. It’s going to have a much bigger impact than any plug-in will but generally it will cost the fraction of a premium plug-in. So there you go. Now, there’s a lot to remember here. You need to recap all of these to make sure you don’t forget them and of course we haven’t even touched on the strategy behind EQ or any of that, which is more important than a lot of this in many cases. How do you figure out what the intention is? Well, I put together a free EQ cheat sheet that will take you through the strategy behind EQ, it has some EQ charts in there, so you can start to learn the frequency spectrum. I also outlined these mistakes so you can recap them anytime. It’s completely free. There’s a link in the bio or a link on the screen now. So go grab that and then I will see you same place next week, and remember, create regardless.